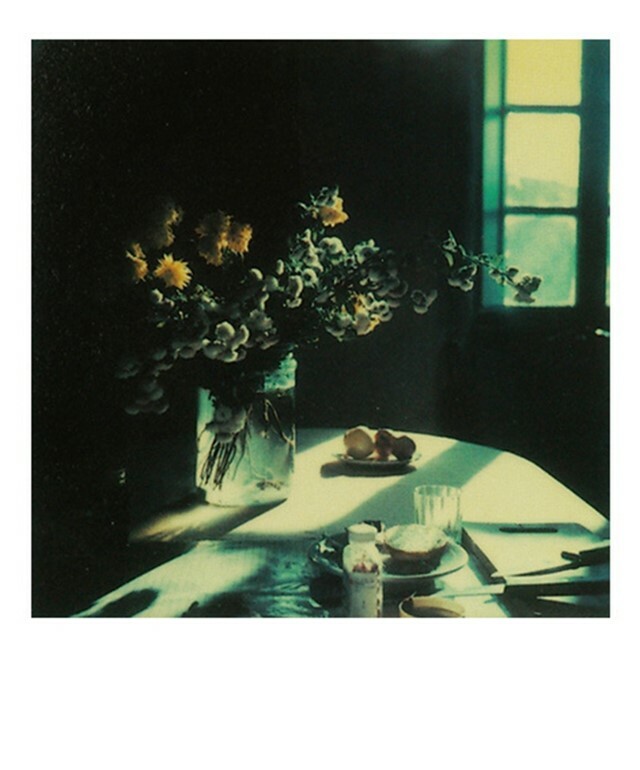 "In these vignettes from his personal world...we are left spellbound by a quiet and captivating insight into the world of a man who rendered dreams reality"
Veneration for Tarkovsky has not dimmed since his premature death in 1986, making the recent discovery of a cache of his polaroids a thrilling find. Taken between 1979 and 1984, in the years before his death from a cancer supposedly contracted on the set of Stalker, they span his last months in the Soviet Union and the years he spent researching and filming in Italy. Very much in the spirit of his moving image work, they capture nature, individuals and light in images that shine with the singular humanity which imbues his films. He once pronounced that “the director’s task is to recreate life, its movement, its contradictions, its dynamic and conflicts. It is his duty to reveal every iota of the truth he has seen…” In these vignettes from his personal world, populated by his dog, his children, his garden and the view from his window, we are left spellbound by a quiet and captivating insight into the world of a man who rendered dreams reality, creating worlds of wonder and truth that have never been equalled despite all the bombast of modern technology. See the full array of polaroids here.